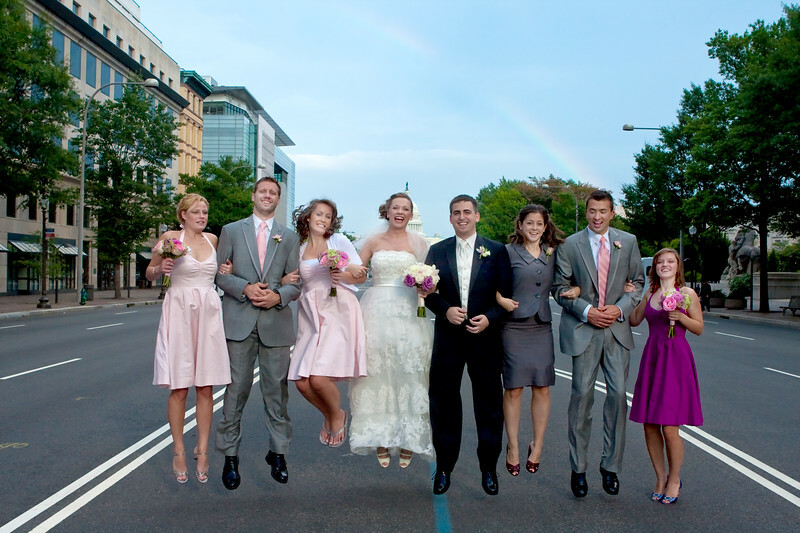 I would say Christina and Joseph had the luck of the Irish on their wedding day- there was a huge downpour of rain at start of afternoon but it cleared up as soon as the wedding started and there was even a rainbow that came out for their wedding pictures. 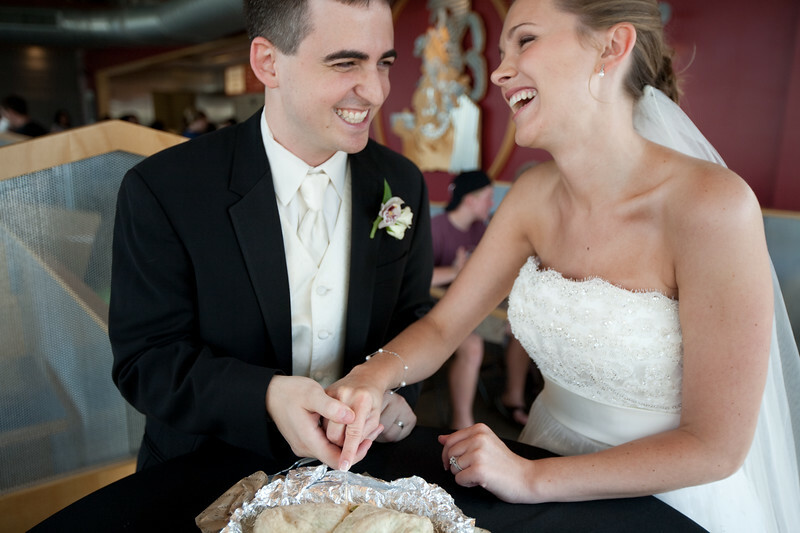 Chipotles was where Christina and Joseph hung out many times during their dating ritual and it had a special place in their hearts. So they had a burrito cutting and a table reserved just for them. 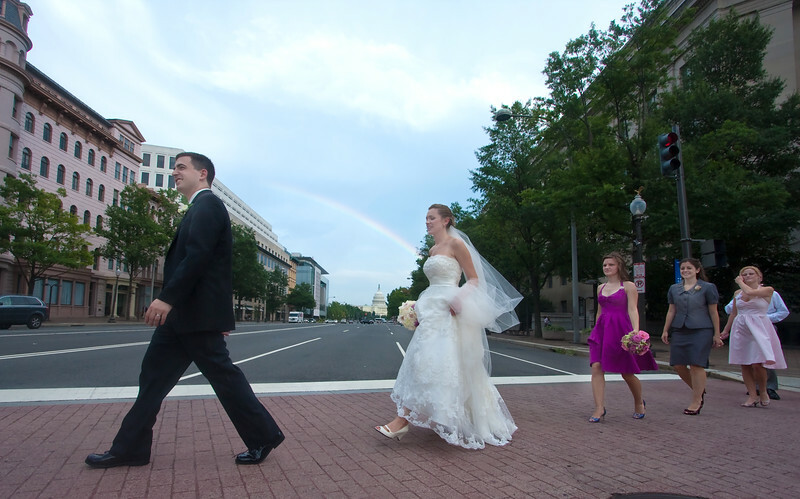 Then we headed over to the Capitol for more pictures with beautiful monuments in the background. At the reception they were joined by family and friends and a large green cake of a fighting Irish as well as the wedding cake. That would make it three "cake cuttings" that day for the bride and groom so that must be good luck for sure.